Pipeline companies face government regulation, environmental constraints and social situations as well as challenges resulting from economic slowdown and aging infrastructure and staff. We deliver integrated geospatial solutions for gas & oil distribution and transmission that enable to efficiently manage gas and oil networks and perform advanced calculations. Our portfolio includes comprehensive network assets inventory, fault management, geomarketing, work force management, Maps as a service, Big Data visualization and business support tools as well as other industry-specific operations support solutions. How Artificial Intelligence can help with data capture? We provide complete scope of services related to implementation and support of industry-specific gas & oil solutions. First, our conslutants analyze your business processes, so they can later advise on the best technology to match your company’s needs and requirements. Solution delivery, integration and network data migration can be performed solely by Globema or in cooperation with local partner(s). 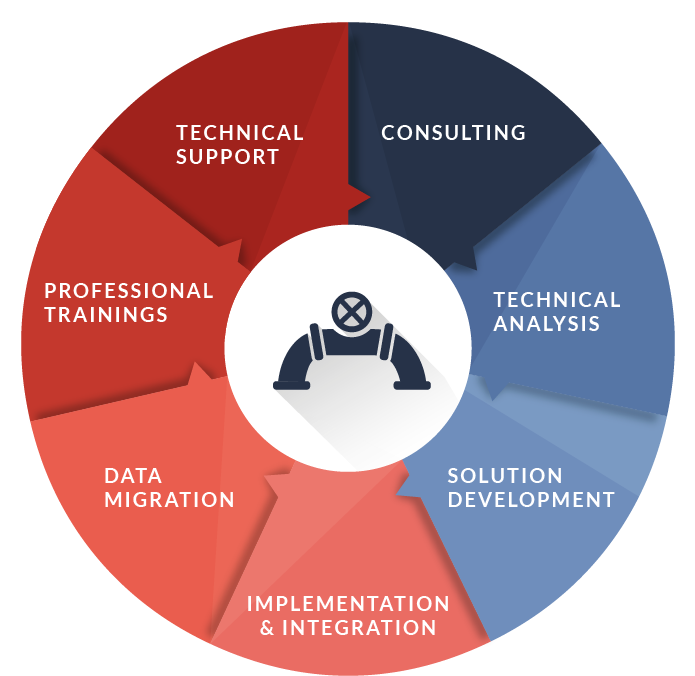 After user & admin training and system production go-live, we provide maintenance & support of the whole solution (including integrations) remotely and on-site.